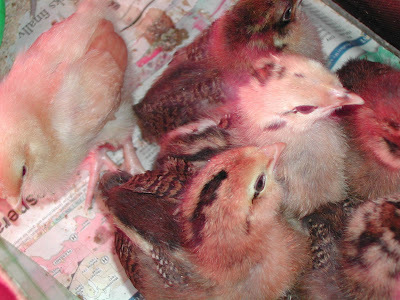 My friend Ann decided to give me chicks for Christmas. They are, indeed, the gift that keeps on giving. Sandi is raising them up till they are a bit bigger because I keep my house really cold and I have cats. While they live quite peacefully with the chickens, I must admit these little one look like tiny morsels of goodness that no self respecting feline could resist. The yellow chick to the left is an interloper and not a member of the Doe Run Farm collective, but that's OK. These 20 chicks will start laying in the spring and Ann and about a dozen other friends will reap their yolky goodness for years to come. In this season of giving, I would like to put in a word for one of my favorite charities, Heifer International. For a donation of $20, you can give a family a flock of chicks. To give you a bit of perspective, in Tanzania, families survive on 50 cents a day. 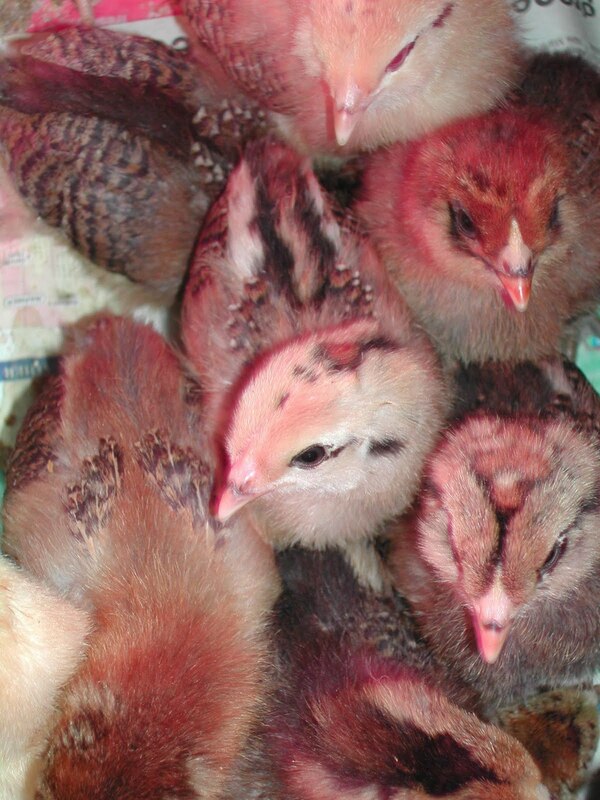 One $20 flock of chicks can raise that family's income to $2 a day. Think about that when you pass a Starbucks. If you are looking for a gift-giving opportunity for that person that has EVERYTHING, think about giving a flock of chicks in their name. Aren't they the most adorable little things (well, after kittens that is). Have you ever seen the I Love Lucy episode when Lucy and Ethel try to raise chickens? It's one from the later seasons when they had moved to Connecticut? Your chicks reminded me of that, lol.